Join us for the family-favorite July 4th running and walking event in Central Ohio. For years the Westerville July 4th 5K has hosted several hundred runners and walkers celebrating our Independence! Join us for another great event this year! Plus, bring the kiddos for the kids fun run! 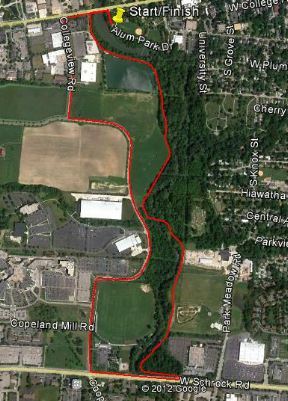 The loop course starts and finishes at the Alum Creek North Park just off Main St. The course will go counter clockwise from Main St. to Collegeview to Cooper and Schrock Roads concluding along the bike path to the park. Age groups: 19 and under, 20-29, 30-39, 40-49, 50-59, 60-69, 70 and over. Race Awards: Awards for top 3 overall, and top 3 in each age group. Race Shirts: Gender specific short-sleeved race shirts will be given to each 5K participant that registers by June 4th. Packet pick-up: Will be held at Fleet Feet located at 1270 E Powell Rd, Lewis Center, OH 43035 from July 1st through July 3rd during normal business hours. Charitable Event Organization:The benefactor of this event is the Rotary Club of Westerville.